In the era of increasing epidemics which are caused due to human greed, that has, in turn, led to the adulteration of nature’s very own gifts like fruits and vegetables; organic food seems to be our only hope. 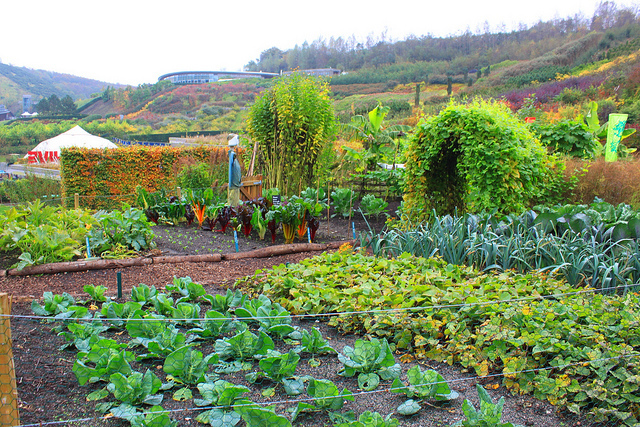 Various researches and experiments have certified organic farming as the safest option for good health. Organic food not only assures us of safety and security against the life taking pesticides and other harmful chemicals but has also become a kind of status symbol in the society. These poisonous chemicals are not only present on the outer surface of our natural food but also get inside them due to high-intensity chemical processes before reaching out the market for commercial purpose. The chemicals do not come out properly from the fruits and vegetables even after going through the thorough rinsing process. The recently developed industry of organic food has already occupied a huge area due to increasing health awareness in public. Almost every supermarket and online store has introduced a separate segment for this rising industry. This easy availability further added to its increasing popularity among people. Organic markets and organic farms have also opened new dimensions for the welfare of farmers and workers. Now they can directly sell their products on various platforms which are not only initiated by the government sector but also by the public sector. Organic food is not only useful from the perspective of the human population but it is equally beneficial for the planetary health. Damaging chemicals free crop which is not only full of natural taste but also nourishment is a direct approach towards the sustainable development which is very important for our future generations. Apart from all the basic benefits like safety and nourishment, organic food is also important for us due to other reasons. Scroll down to read some more interesting benefits of organic food. More nutrients lead to a healthy living. Since the nutritional value of organic food is high due to sustainable farming practice, it provides better health. Better health includes better immunity system, fewer diseases, and better stamina which further lets you enjoy many other small and big joys of life for a long term of time. As the organic food is free of foul-tasting chemicals and fertilizers, it tastes better than the conventionally grown crop. This natural taste also helps in the development of natural food essence which is otherwise getting difficult these days due to chemicalised taste. The organic purchase is always price-worthy. We can easily depend on the organic food in comparison of the conventional crop. This is due to a simple reason that a properly nourished and well-balanced soil mostly produces a tasteful crop rather than a tasteless hollow fruit. It is all about the game of genes. Genetically modified foods are produced by altering the genes of the natural crop. Any such crop always stands at a low level of nutrition. These GMF crops further carry many food diseases which are developed due to the alteration. Since organically grown food cannot be chemically modified in any way, preferring organic is the only means to be sure that food items that have been artificially engineered stay absent in your diet. Organic good helps you fight diseases instead of giving them. The cocktail of poisonous chemicals present in conventional crop instigates many alien kinds of diseases in the human population. Some of these life taking chemicals are even avoided by the experts during testing. Hence it is always better to opt for organic food. Avoid hormones which are not required by our body. Meat and the dairy product contain a very high level of artificial hormones which causes the great extent of damage and complications in the human body. These hormones are fed to animals in order to maximize the production of meat and milk at a low cost. The most alarming fact about these hormones is that they are highly strong molecules which remain unbroken and pass on to human bodies through food. Once they enter your body, they start developing disabilities by damaging the nervous system. Doctors believe that these growth hormones in milk are directly linked to breast and other serious cancers in the female population. Other disastrous effects include early puberty, PCOD in females, development of cancer-causing tumors etc. Especially in the case of pregnant ladies and nursing mothers, these hormones cause very serious diseases in the related child. Organic farming causes no damage to the environment. Organic farming is free of poisonous chemicals and helps in keeping our planet, flora and fauna hale, and hearty. Organic farming helps in the reduction of soil, water, and land pollution. The conventional method of farming creates land and soil pollution due to heavy usage of chemicals. Also, those industries which process the crops further with the help of chemicals deliver all their waste in our precious water bodies making them very polluted. On the other hand, organic farming neither destroys the fertility of the soil nor polluted water. They, in fact, manage the biodiversity through sustainable management. Preserve the agricultural diversity and soil fertility. Since conventional farming focuses mainly on a single crop and not crop rotation, they end up making the land devoid of certain important nutrients. In worst cases, this practice even makes the land barren. Whereas, organic farmers believe in growing a varied range of crops, considering all the natural elements and time-tested conventions into account. After all, diversity is critical for the survival. Organic farming directly supports farmers. We all know that commercial and conventional farming is heavily influenced by mediators. When we buy organic food, we actually contribute to the direct earnings of the well deserving farmers. It is an investment for a cost-effective future for the coming generations. Organic farming is directly related to the wellness of our planet. By opting organic food, we eliminate all the harmful and damaging elements. Our developing children are more prone to diseases caused by the harmful pesticides and fertilizers because of weak immune system. It has been observed that women, who are exposed to higher amounts of pesticides during pregnancy, often give births to children who have a low IQs level which is definitely not good for our future. Hence, spending in the organic sector is a kind of direct vote for a sustainable future for generations to come.